The Syrian Electronic Army hacks the Twitter account of Le Monde newspaper, tweets "I am not Charlie". 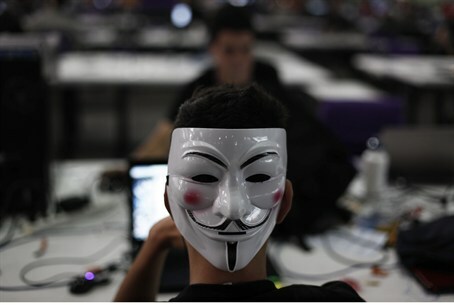 A group of pro-Syrian regime hackers briefly took over the Twitter account of France's Le Monde newspaper early Wednesday, tweeting several messages including one reading "Je ne suis pas Charlie" (I am not Charlie), according to AFP. The tweet was a negative reference to the "Je Suis Charlie" (I am Charlie) hashtag that became a popular way of showing solidarity in the wake of this month's Islamist attack on the French satirical magazine Charlie Hebdo that left 12 people dead. The Syrian Electronic Army (SEA) also managed to tweet in support of “Palestine” and against the bombing of Syria before the account was suspended. Le Monde's account was back up Wednesday morning with a tweet reading, "Our account was hacked, but we have it back under control. We apologize for the fake messages posted in our name." It said it would file a complaint against persons unknown. The paper said Tuesday that the group had tried and failed to hack its website on Sunday and Monday. The hackers had attempted to get into its Twitter account by sending false emails to its journalists. SEA aims to spread counter-revolutionary propaganda and hits back at news outlets it says slant their reporting of the Syria conflict. Their most notorious hack was of The Associated Press's Twitter stream in 2013, resulting in a false tweet saying President Barack Obama had been injured after two blasts at the White House. Other victims of SEA hacks include the AFP photo department's Twitter account, the BBC, Al Jazeera, the Financial Times and the Guardian. In a November attack, the hackers wished the world a Happy Thanksgiving. The Syrian Electronic Army is believed to be behind an attack on the website of the New York Times. The group also claimed credit for hacking into Twitter's registry account and changing information there.